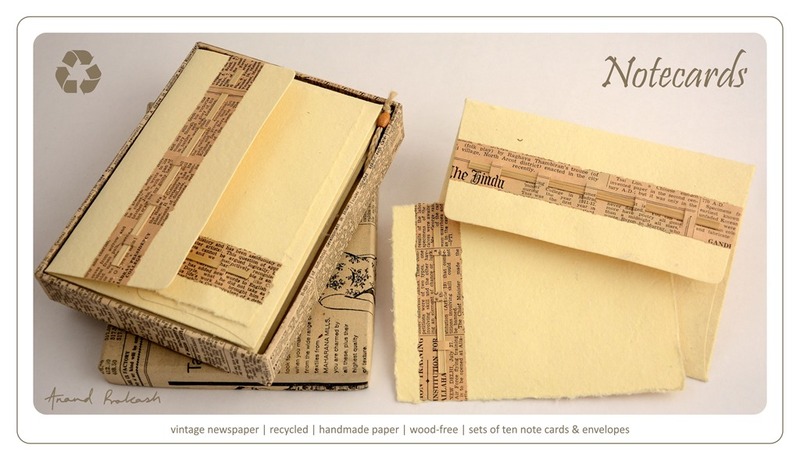 Boxed vintage newspaper note cards & envelopes coming soon on our new website. Handmade, recycled and wood free. This entry was posted in Whats New and tagged Anand Prakash, Boxed Cards & Envelopes, Vintage Newspaper. Bookmark the permalink.